So, if you've ever seen this blog (or my Instagram), you know that I'm pretty into making cute meals for Ethan. There's just something fun about being creative with his food. Yeah, I've seen the blog posts insisting I've got it all wrong and food is for eating not for beautifying, but there's something therapeutic and fun about turning Ethan's sandwiches and fruits into cute pictures for him to admire before inhaling. (Oh, how your idea of "fun" changes once you become a mom.) It definitely takes me a while to sit and plan and carve out Ethan's lunches. 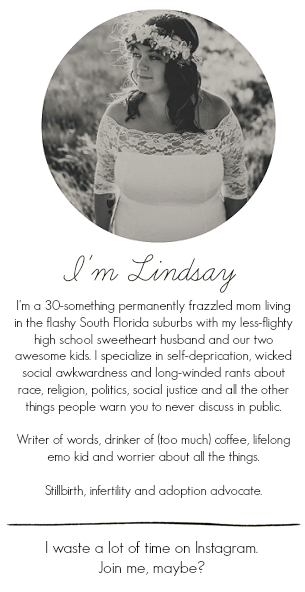 As much as I love it, time is sort of hard to come by when you're a mom. When I first heard about Funbites, they seemed like the perfect way to still make the cute lunches (or breakfasts, dinners, snacks) while cutting the prep time in half. Funbites come in a few different shapes. 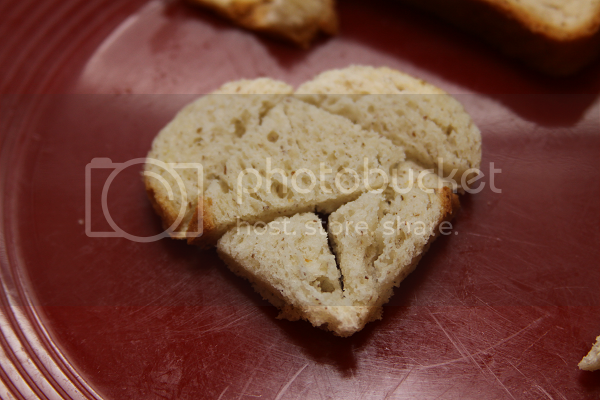 I got to try out the fun heart shaped cutter in honor of Valentine's Day. I couldn't wait to get to work slicing and seeing how I could incorporate some Valentine's Day fun into Ethan's food. 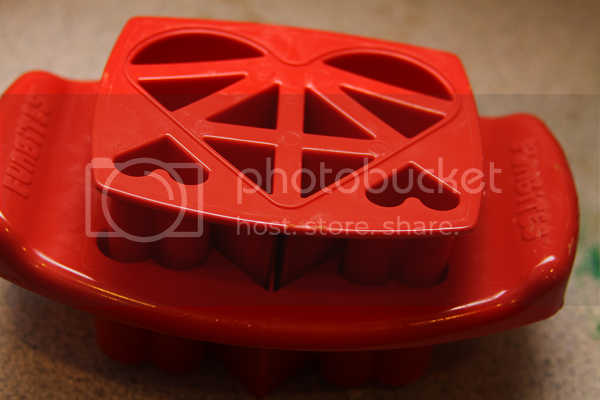 The Funbites cutters are made up of two pieces: the actual cutter, on the bottom, which you place on top of your food and rock it back and forth about five times until the food is cut completely through. 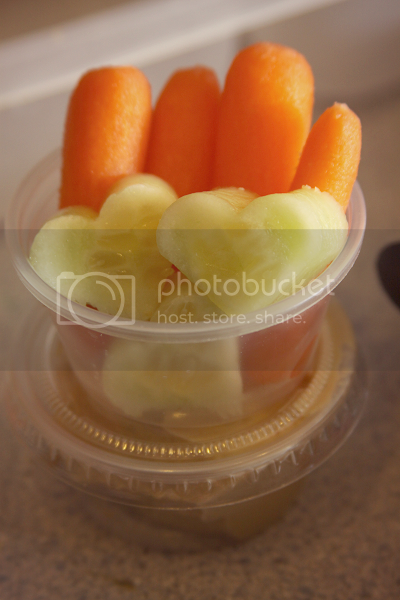 The top piece is what you put in to pop your fun, shaped food out. What I really thought was cool about Funbites was that they're pretty tough -- in a good way. 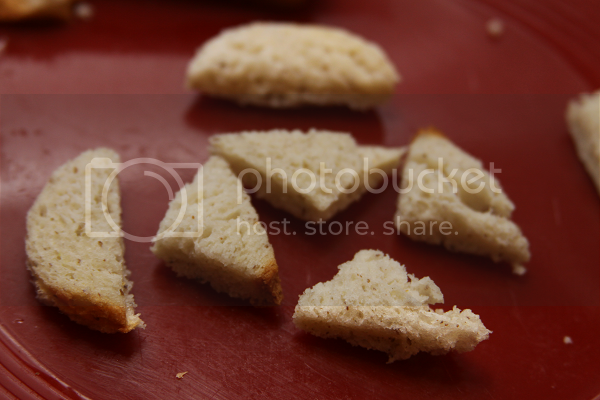 Meaning, they were a cinch to use on fruits and veggies in addition to just something soft like bread. Ethan isn't much of a sandwich guy so, so far, we've used ours the most on fruits and veggies. 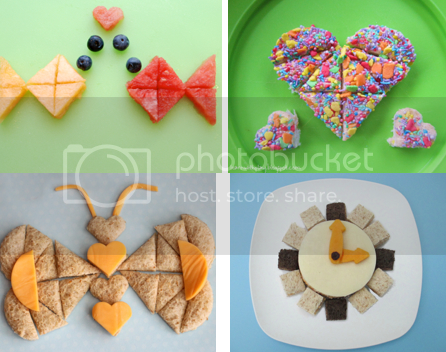 Just a few seconds and you're able to transform a typical snack into something a lot cuter. 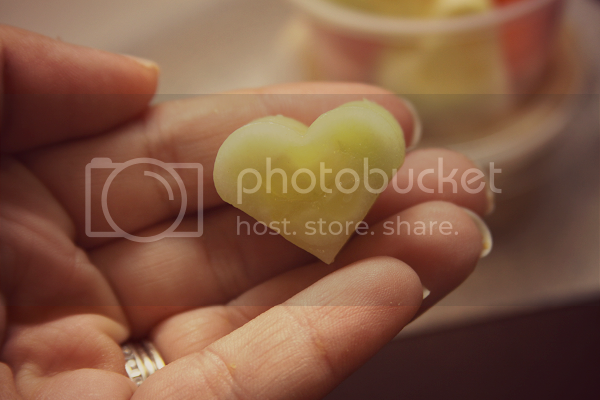 Check out our veggies and hummus, complete with heart shaped cucumbers! 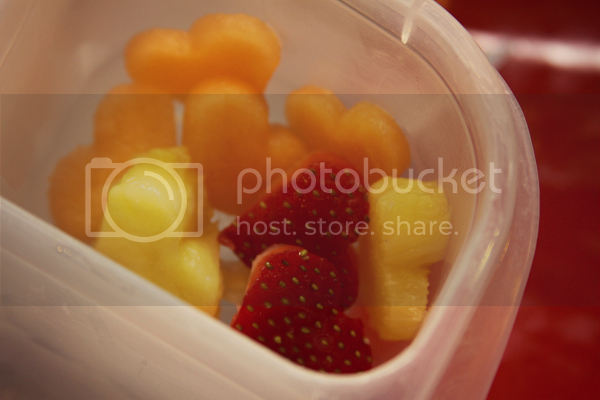 We also had some fun making hearts out of fruit. Any fruit we tried worked perfectly with the Funbites cutter. 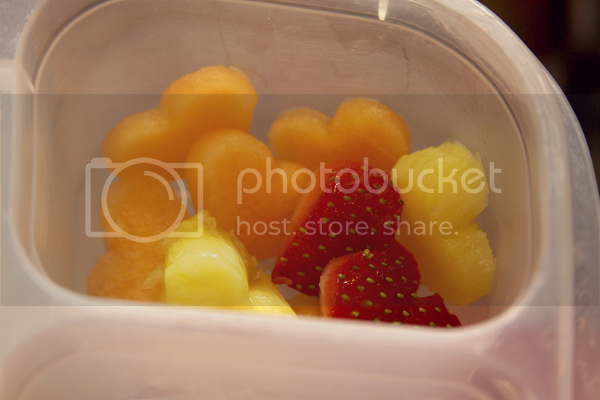 Look at our cute medley of strawberries, pineapple and cantaloupe. So super cute. While I may have gotten lucky in that Ethan is not at all a picky eater, I definitely think helping to make food fun and visually stimulating can help encourage healthy eating habits. Ethan is always so excited to see his lunch for the day and I do think it plays a little bit of a part in him being such a great eater. 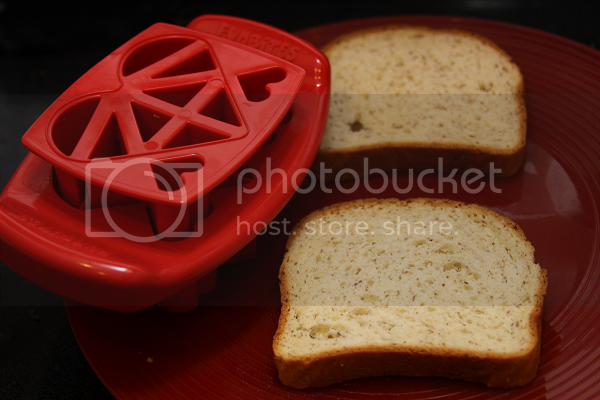 Another cool part about our heart shaped cutter was that you could use it to create one big shape that was easily pulled away into little bite size pieces -- perfect for little hands! You can use Funbites cutters on just about anything and it really did put a huge dent in the time it took me to prepare snacks and lunches for Ethan. Gone were the days of standing there like a crazy person carving watermelon freehand with a knife -- all it took was a few rocks back and forth from the cutter and there you had it, fun shapes! I'm excited to see what we can come up with in the future! TO BUY: Funbites can be purchased through their website. There are quite a few options to choose from! TO WIN: Funbites have graciously offered one of my readers the chance to win a Funbites cutter of their choosing! The giveaway is open to US residents and closes on February 10th! Good luck! These are so cool! My daughter would LOVE the hearts!